Based in Ashford, Kent, Sunray has been designing and manufacturing high specification steel security doors to protect commercial and industrial premises throughout the UK for well over thirty years. We are an ISO certified company and all our products are designed and manufactured to the most rigorous standards, so you can rely on our expertise. Customer care is a priority and we continue to invest heavily in product development and market research to ensure that our doors meet the demands of an increasingly security-conscious market. 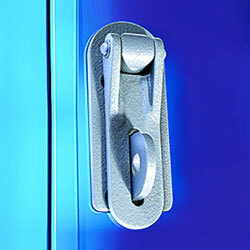 Sunray 6000 Hasp and Staple for emergency exit doors, allows internal escape even when padlocked on the outside where emergency exit and padlock locking are required. 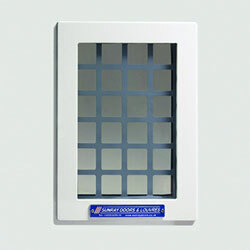 ExcluDoor® 4 FR incorporates a high security fire rated ExcluGlass® vision panel certified to SR4 with both one and two hour fire rating, in compliance with BS EN 1634. 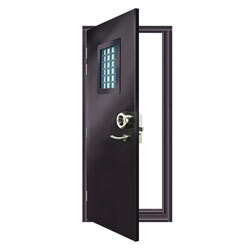 Sunray has achieved an SR6 rating with its unique 45mm, standard thickness, ExcluDoor® 6 security door with a single point locking system, on both single and double doorsets. Complementing our standard door ranges we also offer a complete, bespoke design service to suit specific client needs or to overcome site/building constraints. Specialist transport including artics, curtain siders with Moffett facility, flat bed lorries with HIAB facility and lightweight vans including Crossrail compliant vehicles. 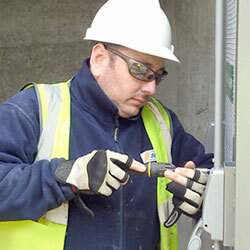 We offer an installation service covering our steel door, louvre systems and ExcluDoor® security door ranges. 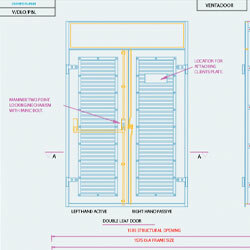 Our installation process is approved and certified by the LPCB/BRE to LPS 1271 for security doors. Procedures are audited and our installation process is approved and certified by CHAS, Safe Contractor, Achilles Builders Confidence and Achilles UVDB. 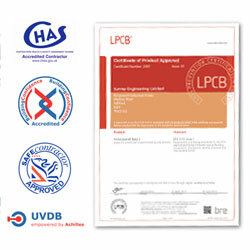 Sunray’s Installation Service is certified by the LPCB/BRE to LPS 1271 for security doors. FireLock®, VentaDoor®, ExcluDoor®, ExecDoor®, SaverDoor®, ExcluVent®, ExcluGlass®, ExcluLouvre® and ExcluLouvre® Door are registered trademarks of Sunray Engineering Ltd. Sunray Engineering Limited is a company registered in England and Wales. 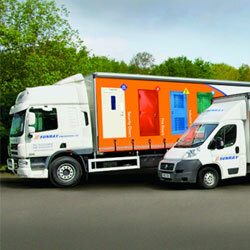 Registered Office Address: Kingsnorth Industrial Estate, Wotton Road, Ashford, Kent TN23 6LL.